The Kerv ring has been spurring a lot of debate in the world of contactless payments since it was first announced. Albeit there have been some questions as to whether or not this product will come to consumers, the release seems imminent. A variety of funding methods will be supported, albeit Bitcoin is not on that list, unfortunately. Making contactless payments through wearables sounds inconvenient, depending on which type of wearable is being used. 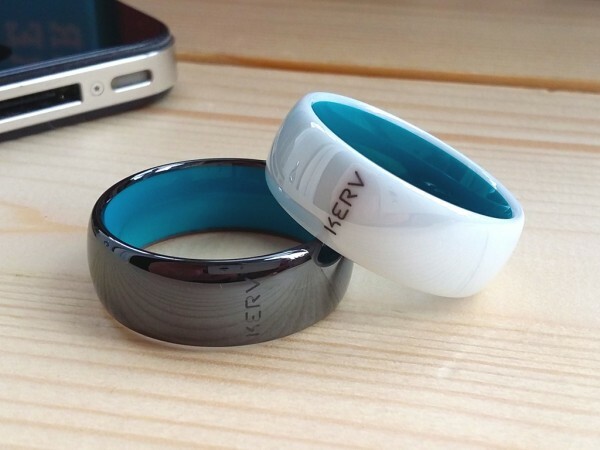 The Kerv ring might be an answer to most of those problems as it is not an obtrusive piece of technology by any means. Moreover, thanks to the company partner with PSI-Pay, it looks like the product will be coming to the global market very soon. Kerv decided to partner with PSI-Pay due to their MasterCard license, which enables ring users to pay at 38 million locations around the world. One of the prerequisites for this type of payment is how retailers need to accept contactless transactions, though. However, MasterCard is actively pursuing retailers to do so. Among the many supported funding options for the contactless payment ring is PayPal, debit and credit cards, and bank transfers. Unfortunately, Bitcoin is not on this list, despite its global appeal and no chargebacks. Companies such as Plutus are actively exploring the role of Bitcoin in contactless payments, though. But there’s more to this partnership than just using the ring, as customers will obtain a virtual payment card as well. This would allow them to purchase online through the same ecosystem they use for offline purchases. Adding Bitcoin to this ecosystem would be a smart move, though. The post Kerv Ring Will Support Different Funding Options But Not Bitcoin appeared first on Bitcoinist.net.